This work explored the notion of luck and lucky charms. An experiment was devised to test whether a random object could be imbued with suggested power to bring luck to its owner. 100 'lucky' golden bears were made and secretly distributed around South Coast College. The ensuing clamour to find and own one of the bears was documented on a blog. Feedback suggested a real need and desire to 'be lucky'. 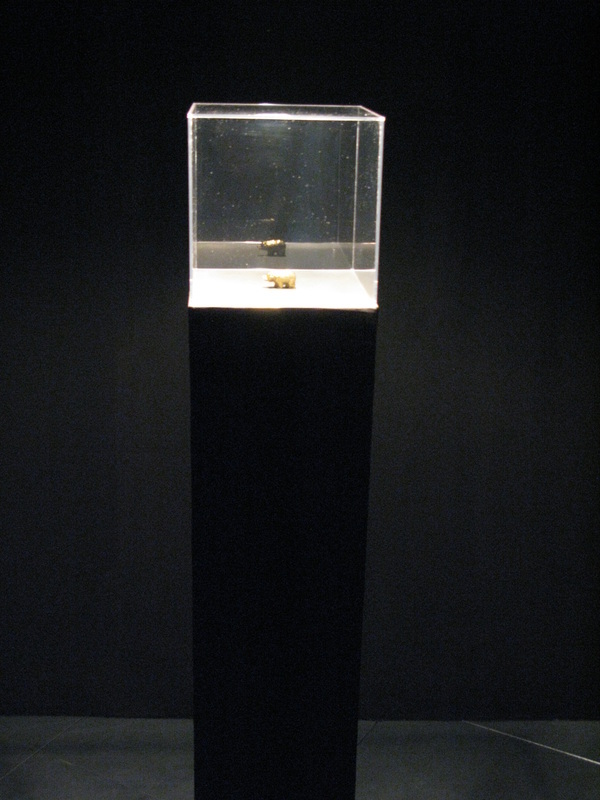 The original small brass bear took on iconic status and was displayed in a glass case for my final exhibition of Fda in Fine Art.